In the run up to Christmas I find myself knitting hats and socks like mad. 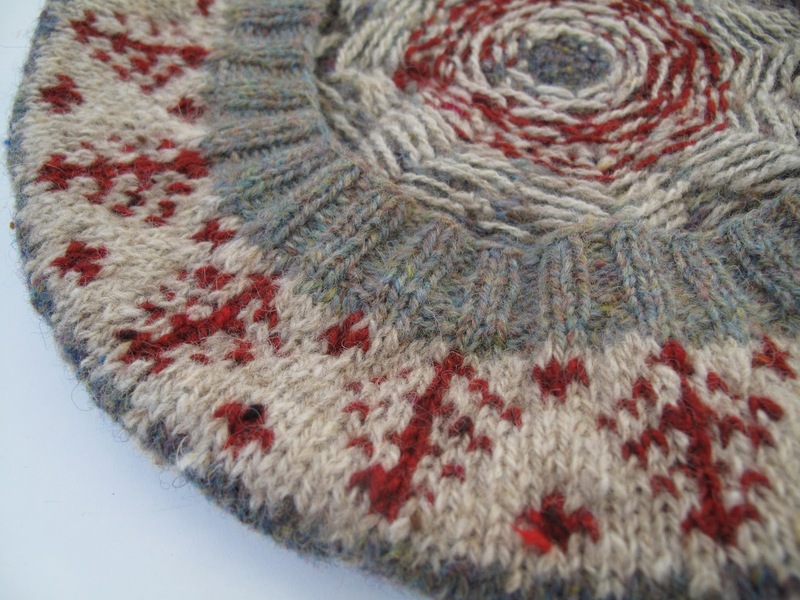 This means I am knitting lots of Fair Isle patterns and quite frankly I am loving it. It is a real indulgence seeing the way the colours and patterns appear. 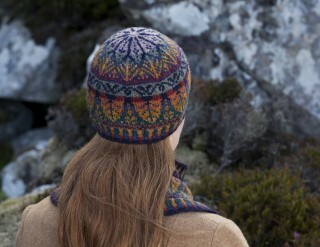 I have, of course, been stash diving for these knits and also for a hat design of my own that I am working on. My favourite yarn at the moment is Alice Starmore’s Hebridean 2ply which has been a wonderful rediscovered gem. I interviewed Alice a couple of years ago for The Knitter. She is a true artist and the way she spoke about blending colour, you’d have thought she was talking about paints, not fibre. There are 35 yarns in this range which all sit together beautifully and then the magic begins. The colours seem to bounce off each other and harmonise in varied ways when they are in different combinations. The fabric that you knit is lovely and solid but also light. My husband has a hat in this yarn – one he hasn’t managed to shrink yet – and it still looks fab after 2 years of wear and tear. I really like the Oregon sets. I have just looked at Alice’s website and there is a special offer on at the moment that saves you £19 on the whole set of 35 shades. Are you paying attention, Santa?